Shankar Mahadevan Academy is now in Dubai. 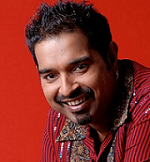 We're partnering with Galaxy Centre for Performing Arts to bring you courses by Shankar Mahadevan Academy. Entry level foundation course for students who do not have a.. Address : 205, Atrium Centre,Khalid Bin Waleed Road, Bur Dubai, Dubai.